December 22, 2018 By This post may contain affiliate links. These Gumdrop Cookies are my absolute favorite cookies. 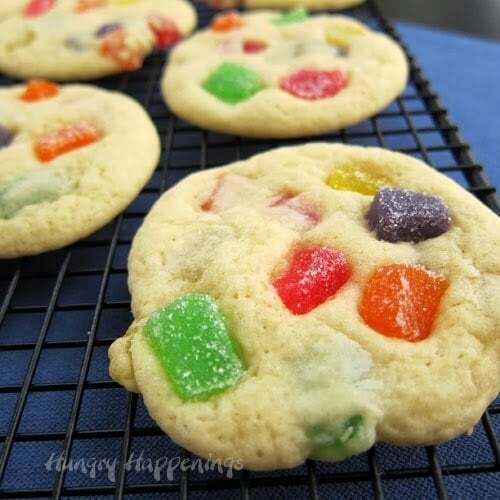 There’s nothing better than soft and chewy gumdrop pieces mixed into a fluffy sugar cookie. Originally posted on December 3, 2013. Updated with a new VIDEO tutorial in 2018. 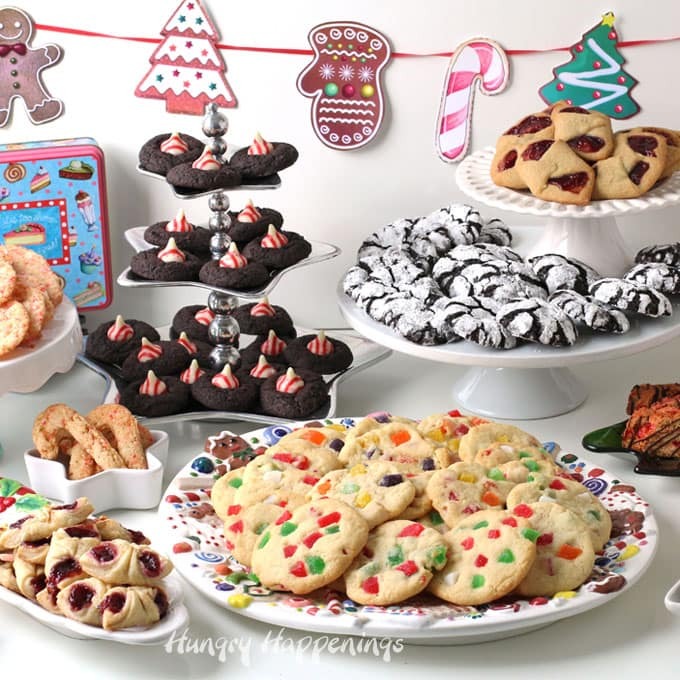 Baking has always been my passion, and as a child, I’d bake dozens and dozens of cookies to give to family and friends, and the most requested cookies were always my gumdrop cookies. The original version of this recipe came from my neighbor. I remember when she first handed me a gumdrop cookie, I resisted, but once I finally gave in and took a bite, I couldn’t get enough. Each soft sugar cookie is loaded with sweet little gems of fruity goodness. This recipe has evolved a bit over the years and it is still my most requested cookie at the holidays or anytime of year, really. I personally enjoy the lemon, orange, grape, lime, and cherry flavors that the brightly colored gumdrops bring to these cookies, but they can be made with just red and green and even white gumdrops for Christmas, if you prefer. You can see how I made Christmas Gumdrop Cookies in my How To Host a Cookie Exchange post where I share tips and tricks for hosting an amazing cookie swap at Christmas. These are my favorite cookies to bring! 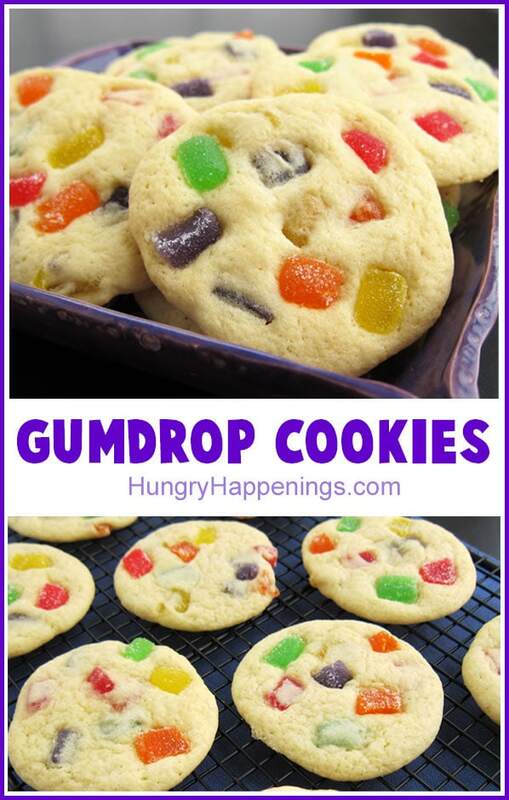 You can make gumdrop cookies for so many different occasions. 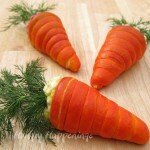 They are so festive for a birthday party and make great birthday gifts. My mom and brothers hope to see a package of them wrapped up each year. For Valentine’s Day you can fill these gumdrop cookies with red (and white or pink) gumdrops. Orange and purple gumdrops make fun Halloween cookies. You can use black gumdrops but they are usually licorice flavored and I prefer the grape flavored purple candies. Yellow, purple, pink, and orange gumdrops look festive for Easter. I like to use fruit slices. You can find these at most grocery or drug stores in the candy aisle. If you can find fruit flavored Jumbo Gumdrops they work great too. DO not use spice flavored gumdrops unless you really want spice flavored cookies. You’ll cut the gumdrops and coat the sticky sides in sugar before mixing the candy pieces into the dough. 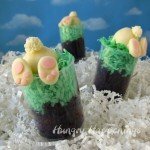 I have been using Country Crock Baking Sticks to make this recipe since I was a kid. The Country Crock Baking Sticks are soft so they do not need to sit out at room temperature like butter does before making cookie dough. They impart a very mellow flavor thereby allowing the gumdrops to be the star of the show in these cookies. 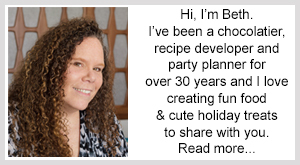 I personally love using vanilla bean paste in all my baking. It adds amazing vanilla flavor. Use kitchen shears or a sharp knife to cut gumdrops into small pieces. You will find that using kitchen scissors will be much quicker and easier than using a knife. Spray the kitchen shears with baking spray, wiping off any excess spray before cutting. This will keep the gumdrops from sticking too badly. Wash your scissors often and respray as needed. Drop the cut pieces of gumdrops into a bowl of sugar then toss to coat. As you cut the gumdrops, coat the sticky part in sugar to make cutting easier. Remove from sugar and shake off the excess. You’ll want the gumdrop pieces to be rather small, about 1/4 inch or so in length. Cream the Country Crock Baking Sticks and sugar together until fluffy. In a separate bowl whisk together the flour, salt, baking powder and baking soda. Yes! I freeze this cookie dough all the time. You can scoop the cookie dough and set the scoops on a parchment paper lined baking sheet and cover and freeze them until firm, then place them in an zip top freezer bag or airtight container until you are ready to bake. You can bake the frozen cookies but you’ll need to add extra time (3-6 minutes) or you can thaw them and bake them according to the recipe. If you prefer you can scoop the dough into a large zip top bag and freeze it then thaw and scoop later. Or you can roll the dough into a few logs, wrap them well in parchment paper then store in a zip top bag. When you are ready to bake the cookies, thaw on the counter for about 15 minutes then cut the logs into slices. This is my favorite way to freeze these cookies. 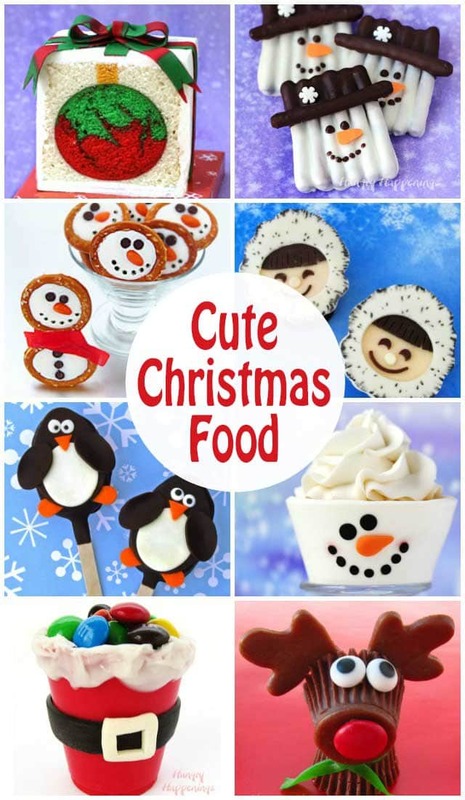 With any of these methods, be sure to have more cut gumdrop pieces to add to the tops of the cookies before baking. Scoop out about 2 tablespoons of dough using a spoon or preferably a #30 ice cream scoop, onto a parchment paper lined baking sheet. I always bake my cookies on a parchment paper lined baking sheet. They don’t stick and clean up is a breeze . These cookies do not flatten out in the oven, so you have to flatten them. You can, if you’d like, flatten them all individually using your hands but I’m going to share a little trick with you that we used to use in my store (when we’d bake thousands of these cookies every week). Place a piece of parchment paper over the tray of cookie dough. Set another baking sheet over the parchment paper. Press down on the baking sheet to flatten the cookies all at once. Peel the top piece of parchment paper off of the cookies. Then use the edge of your hand to re-shape the cookies into nice rounds. 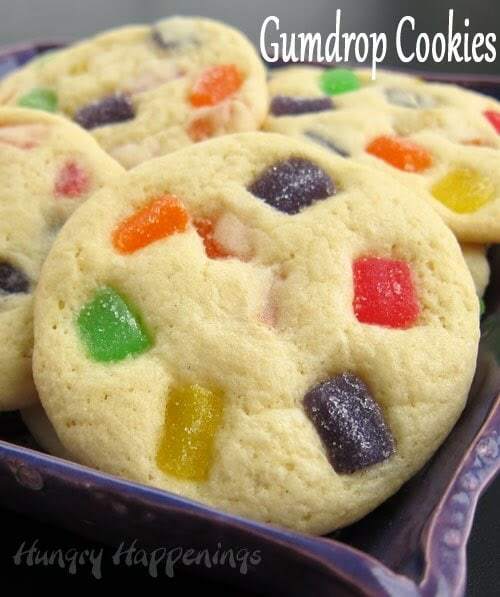 Use the remaining gumdrops to fill in the empty spaces on the cookies. 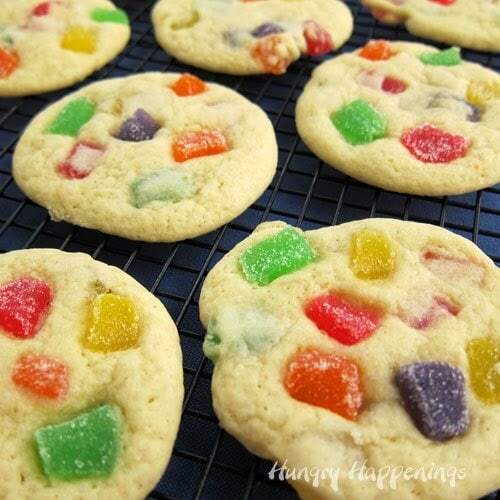 Add a variety of colored gumdrop pieces to all of the cookies. Bake for 8-12 minutes, just until the tops of the cookies start to look dry. Cool cookies on baking sheet for 2-3 minutes, then remove and place on a wire cooling rack. These cookies are best the day they are made (as are most cookies) but can be store in an airtight container, preferably a metal cookie tin for up to a week. After a few days if the cookies become a little dry, add a piece of white sandwich bread to the container to help soften the cookies up. Can I freeze the baked cookies? Definitely! I double this recipe at the holidays and make a lot of cookies which I freeze. Wrap small groups of baked and cooled cookies in plastic wrap then place the wrapped cookies in a large zip top bag or airtight container and freeze for up to 3 months. Chewy sugar cookies speckled with fruit flavored gumdrops make any occasion brighter! Cut gumdrops into small pieces, toss in sugar, then pour into a colander to remove excess sugar. Cream Country Crock Baking Sticks and sugar together until fluffy. Stir dry ingredients into the wet mixture just until blended. Scoop out about 2 tablespoons of dough onto a parchment paper lined baking sheet. Repeat making 36 scoops. 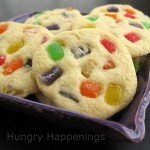 Top cookies with more gumdrops. 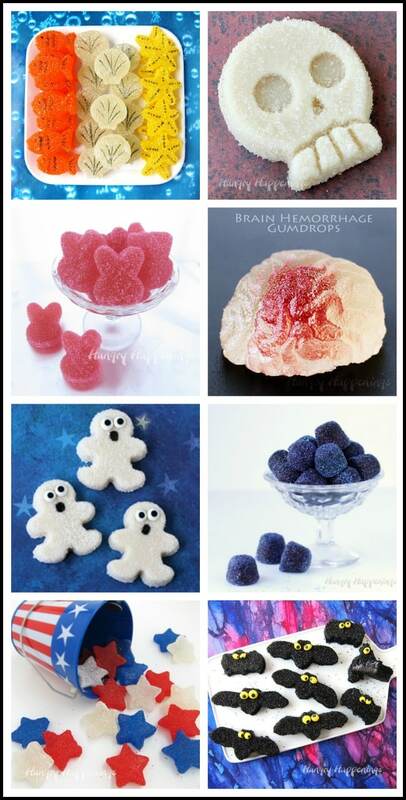 You can find tutorials and all my homemade gumdrop recipes, here. These Gumdrop Cookies make a great addition to a Christmas cookie platter. Your cookies are so colorful, they sound great! In your recipe that was shared, underneath the margarine in the ingredient list it says "1 3/4 cup" but there is no ingredient listed. What should that ingredient be? The recipe has been fixed! I love gumdrop cookies too! Now that is a first. I've never seen a gumdop cookie before! Surprising, I know. It seems like a strange thing to put in cookies, and most people are surprised at how good they are and how much they like them. 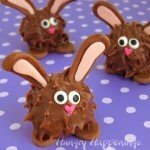 Do you think these would taste good with spice drops? I tried that once years ago. I didn't like them much, but I'm not really a fan of spice drops. If you really like spice drops, you may think the cookies are great with them! 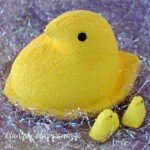 I too have never seen a gumdrop cookie, but I think my grandbabies would love them! Great cookies. 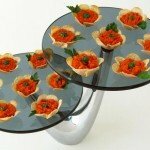 Would love to win the OXO prize. Having trouble posting here; trying again! These cookies are a great basic recipe that is great with many add-ins. I've not added the fruitcake candies but think they would work well in this recipe. Never would have thought of this, bet it gives the cookie a nice extra chew. Never would have though of this. I bet it gives the cookies a nice extra chew. 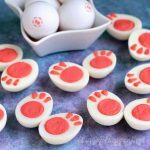 The gumdrop cookies look fun – and delicious!